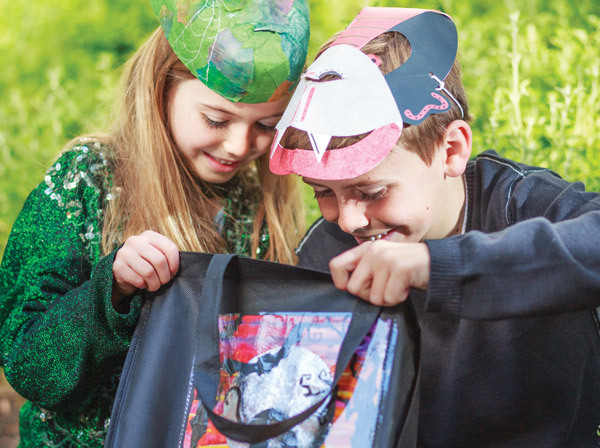 This large bag would be ideal for a group of children to take on their trick-or-treat adventure this Halloween. 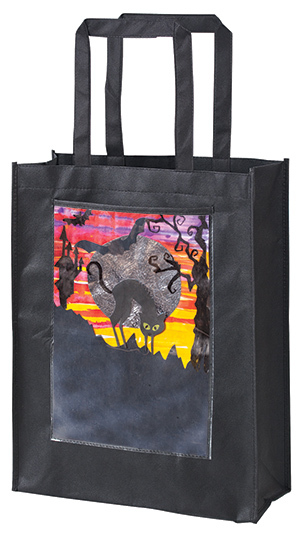 Insert a piece of Halloween themed artwork into the plastic pocket! On a sheet of Cartridge Paper, pencil out a design for Halloween. Colour the background with Liquid Crayons and collage the rest of the design with black Cover Paper and Metallic Ripple Paper. Insert the artwork into the pocket on the bag.